Stitched Up By Doreen is a family run business with over 45 years of experience supplying made to measure curtains and blinds in Bolton and the surounding areas. We pride ourselves on providing high quality curtains, blinds, soft furnishings and bedding, to suit all styles and budjets. We believe in our traditional and friendly approach to providing a personal service and our well trained staff with an eye for detail will help advise you on styles, trends, quality and product ranges. We welcome everyone to visit our shop in Bolton, where you can view our extensive rage of sample books from companies such as Prestigious Textiles, Clarke & Clarke, I-Liv Textiles, Harlequin, Fryetts, Porter & Stone and Pavillion Textiles. As an independent retailer we have the time to provide you with lots of personal service. Whether choosing fabrics or furnishings, our friendly staff will help you with co-ordination to enhance your design scheme or you may want to provide your own fabric and have us make up your new curtains. We can give advice in which styles and products would be more suitable for your requirements and budget. 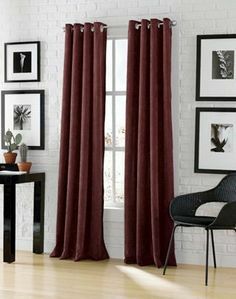 Our curtain gallery displays an array of large sized fabric samples which are available for loan, as many times as you wish; to choose in the comfort of your own home. Our time served seamstresses produce quality custom made curtains, roman blinds, cushions, pelmets and bedspreads. Our workroom can also make bed linen for non standard and adjustable beds. Our service also extends to no obligation home measuring and consultation, and a fitting service is available on request. For contract work, we can supply fire retardant curtains, with the relevant certification for insurance purposes. No job is too big or too small, Domestic or contract. Stitched Up By Doreen supply, measure and fit perfect Curtains. We understand the impor..